Born in Scotland in 1850, George Milne moved to Ontario with his family in 1857. Milne and his two brothers, Alexander and John eventually all made their way to Victoria. Alexander Roland found success through the development of the Empire Hotel And Restaurant(1). Dr. Milne quickly established a profitable and respectable medical practice in Victoria. Unlike his brothers, George took a very public role in community, church and government. Perhaps he took his lead from his parents who were deeply involved in Presbyterianism(1). George Milne became a member of session at St. Andrew’s in 1893. George involved himself in many aspects of community, being a school board member, president of the B.C. Liberal Association, and registrar and secretary of the B.C. Medical Council. He ran against the government of John Robson in the 1890 provincial election and was elected with 901 votes as one of four representatives of Victoria City(2). His political career was not without its problems. 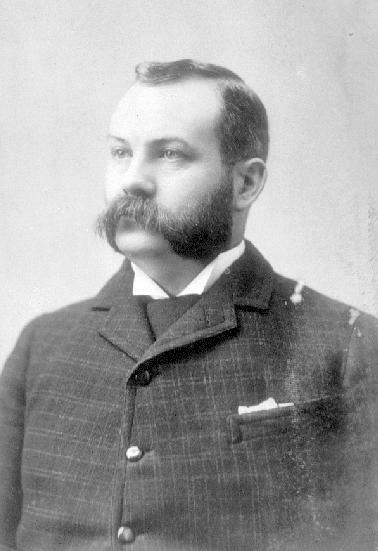 As Health Officer for the City of Victoria, Milne was forced from office during a disagreement with the cabinet of the province during the summer of 1892. In 1896 he ran for federal parliament but was unsuccessful. Dr. Milne’s medical work was well respected. In addition to being involved with the B.C. Medical Council, Milne also worked as an immigration health inspector and wrote several papers on health issues such as Typhoid Fever and sewerage. George Milne also retained a number of business interests, being director of several companies including the Nanaimo Gas Company and the National Life Assurance company of Canada as well as presidency of several corporate entities(3). As well, like his brother Alexander, George was an active member of the Freemasons .